Fantastic Family Adventure – Highly Recommend. The Western River guides were knowledgable, gracious, funny and hard working! Their team work was amazing. 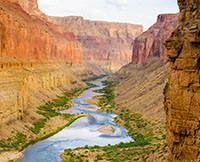 The Grand Canyon rafting trip is the right combination of water time and side trips, hikes etc. 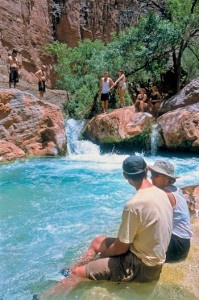 - the side trips are optional but well worth doing. I would highly recommend this trip to families, particularly with teenagers. This is a tremendous opportunity to be outside, see some amazing sights, and be part of a group of new friends all while being UNPLUGGED! Take one of these trips if you are able (and don't worry, the guides do a great job of managing the "bathroom situation" - there was never an issue or uncomfortable moment - don't let this fear hold you back).